The torpedo shape, the big white tipped tail providing power, and those teeth, teeth that grab their prey and don’t let go. 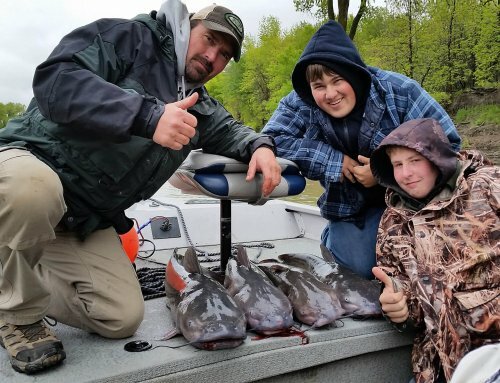 Yes walleye are predators, but not just predators, top of the line predators. So why do so many anglers treat them timidly, insisting on dragging baits along the bottom at a snails pace? We don’t do that with the other top predator fish, the pike, the bass, or the muskie. With those species anglers tend to think in aggressive terms. 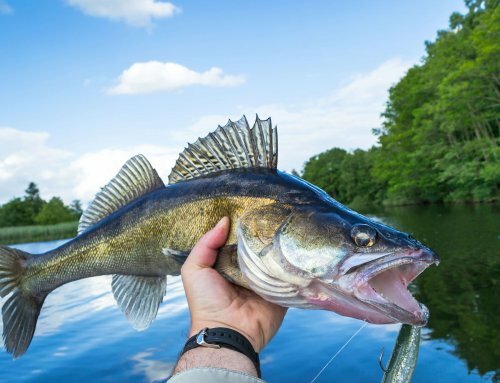 With walleye anglers I see it all the time, the backtrollers crawling slowly along the break, the slip bobber angler anchored on one spot for hours at a time, or the jig fisherman holding his rod perfectly still, trying to hover a 1/8th oz. jig, tipped with a minnow, an inch off the bottom. PLEASE don’t get me wrong, all of the above mentioned tactics are proven walleye catchers, but, are they the best tactic for the situation. When I moved to the Iowa Great Lakes in 1999 I was able to renew a love affair with the smallmouth bass. I found myself casting more and fishing live bait less. I fished shallower, I worked jigs faster, I threw spinnerbaits, and I crashed crankbaits into the rocks. But mostly I caught walleye on a regular basis, right along with the bass. I remember one day in particular that really got me thinking. I had just watched a Bass Masters tournament on television. Kevin Van Dam was working jerkbaits across weed flats. He was ripping these baits hard, the rod constantly snapping back and forth without pause. The lure snapped sideways, shot forward, and then shot off in the opposite direction, until the rod doubled under the weight of another big bass. “We have weed flats” I thought, “why won’t it work here.” Oh yes it worked, the smallmouth were all over it. But then I came upon a school of walleye. The results were the same. For thirty minutes walleye after walleye came to the net, and it was time to rethink my approach to walleye fishing. When should we take this aggressive approach? These days for me, it’s usually the first approach, however there are some clues to look for. Early in the walleye season one of my most effective aggressive approaches is snap jigging. Walleye are often spread out on sand gravel flats that have the slightest of weed growth just beginning to show. These walleye are on the hunt for baitfish like shiners and perch or in reservoirs it could be shad. These bait fish are using these areas to spawn. Snap jigging excels in this situation. If it is windy set up to drift the area. If it is really blowing you may need a drift sock to slow the drift. A drift sock tied off to a bow cleat also keeps the boat in a nice sideways drift allowing multiple lines to be snap jigged without tangling. Since these are flats and the fish are roaming, drifting sideways allows for covering more area. If it is calm you will need to supply the propulsion with either your outboard or trolling motor. I use a two rod approach. On the first rod, a 6-½ foot medium action, with a fast tip Fenwick HMG I tied with a 1/8th oz. jig tipped with a 4” Berkley Power Minnow. I will make a short cast out from the boat and allow the jig to sink to the bottom before engaging the reel. My second rod will be the same only in a 6’ model. On this one I tie a ¼ oz. jig and tip it with a 4” inch Gulp Alive Minnow. Simply drop this one over the side right to the bottom. Both reels are loaded with 10# test FireLine in Hi-Vis Flame Green line. This isn’t a tactic that requires a leader spliced in because we aren’t going to give the fish time to scrutinize the presentation. With a rod in each hand at the 9 o’clock position I will snap both rods up to the 11 o’clock position. As I drop the rods back to the 9 o’clock position I want slack in the line so the jigs fall unimpeded. Don’t snap the rods down though. Drop them just fast enough to allow slack but still keep in contact with the jig. Ideally you want the jig to just kiss the bottom before the next upward snap. 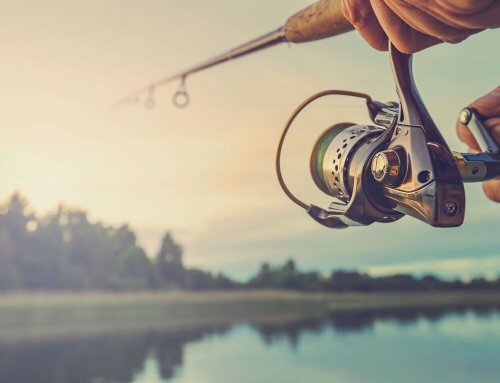 Depending on the speed of the drift and the snapping of the rods the jigs should shoot up and forward anywhere from two to six feet with each rod movement. Most bites happen as the jig falls. With the ¼ oz. jig the fall is more of a plummet and with the 1/8th oz. it is more of a glide. That is why we start with different weights so we get some feedback from the walleye. 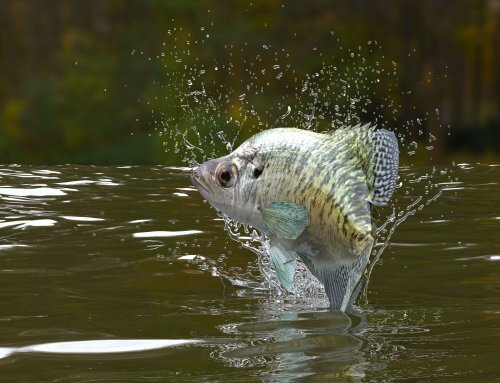 Bites are generally felt as a good jolt as the fish is swimming hard to chase the jig down. But, if they hit coming straight from behind, as they are moving at the boat you won’t feel much. This is where the Hi-Vis line comes into play. If you watch right where the line enters the water you will see the line jump or twitch. Set the hook immediately and hard. Sometimes the walleye will just be there when you snap the rod again. Over the last few years I have discovered that snap jigging is not just a shallow water tactic. On Spirit Lake before the weeds start to grow many walleye move out to the very edge where the drop off meets the basin. Drifting these areas with live bait rigs has been a standard for years. I have been fishing ¼ and 3/8 oz. jigs in the same manner. Only now I’m working those jigs in 14’ to 18’ of water. When the water is warming in spring and early summer walleye feed often through the day. 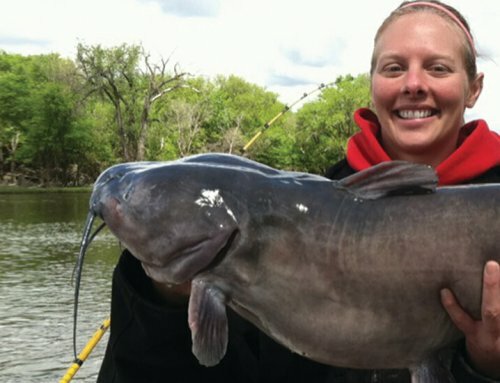 These are prime times to fish aggressively, but by no means are they the only times. In mid to late summer, when water temperatures are at their highest, walleye often set up on rock reefs surrounded by deep water. These reefs may top out anywhere from 5 to 25 feet below the surface. For reefs as deep as 15 feet I like casting crankbaits, but not your typical walleye crankbaits. I use what are considered bass baits like the old Berkley Frenzy, the Rapala DT series, and Bandits. These baits all have big wide wobbles and displace a lot of water when retrieved. In other words, they aren’t subtle. They cause a commotion and get a predator’s attention. Make sure the lure you fish will dive at least two feet deeper than the top of the reef. It is imperative that the lure gets down to the rocks and you pound the lure into the rocks on the retrieve. These lures also float up when you pause your retrieve. Crank the lure down until it contacts the bottom then pause allowing the lure to float up. This is when the bite will come and it usually isn’t subtle. The pause also keeps us from burying the crankbait in the rocks and getting snags. If you get snagged, give some slack and the lure may float free. If not, move to the opposite side of the snag and try to shake the lure loose. Be prepared, as many times when that lure pops free a big walleye will inhale it. Investing in a lure retriever is also a good idea; it will pay for itself quickly. Also be prepared to battle some bass, pike, and muskie on this pattern. 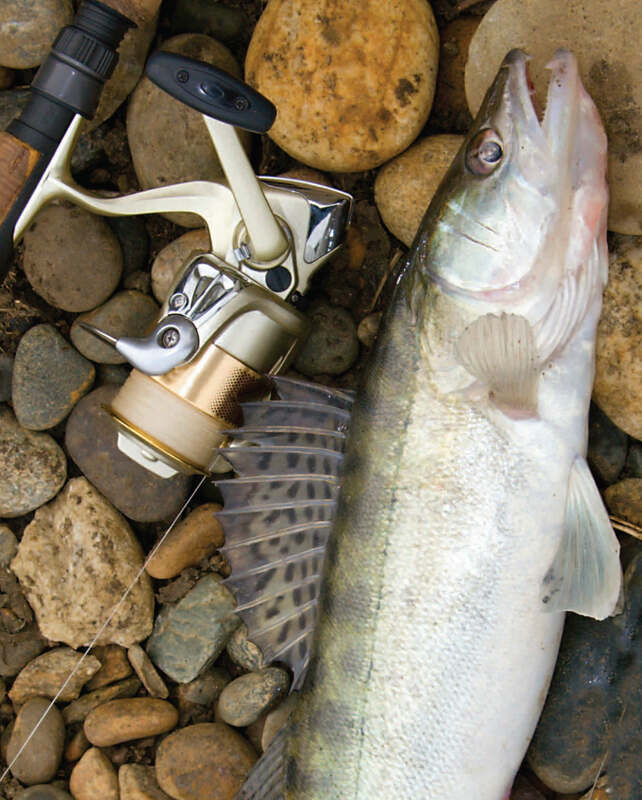 Chasing walleye with aggressive tactics is not only highly productive…it’s fun. It’s great to have a walleye nearly rip a rod from your hands when it eats your crankbait on a dead run. Walleye are top of the line predators; if you start thinking of them that way your catch rate will go up. So will your heart rate.